Portofino is situated in the heart of river-side Hamilton. With only a short stroll to one of Brisbane’s most exciting food and entertainment precincts, it offers residents luxury and entertainment. 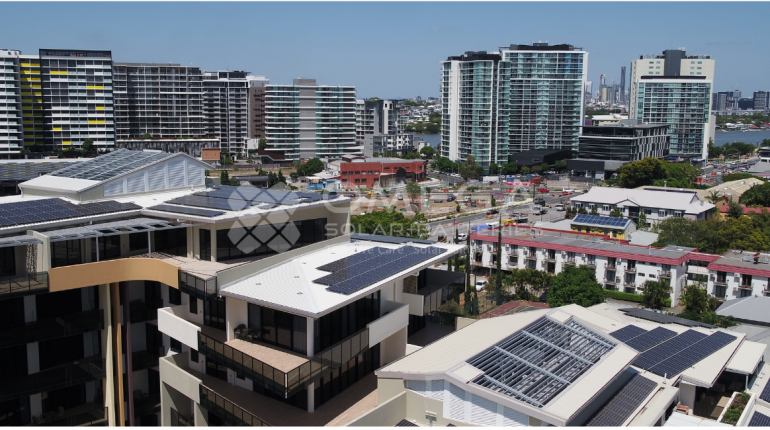 The building comprises of 100 aged care suites, and 50 large, fully self-contained aged care/senior living apartments. This includes four exclusive penthouses. With such a large resident portfolio, Portofino struggled with rising electricity costs involved in providing its community with a high quality of life. 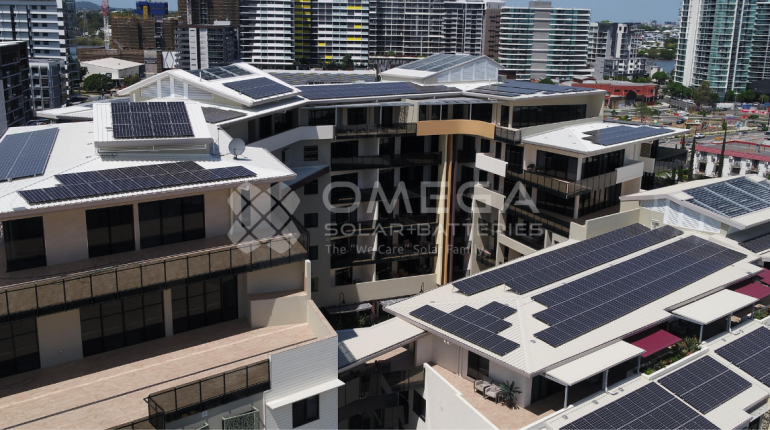 Omega Solar+Batteries are a locally owned family business. We have been actively installing solar systems for the wider community since 2008. 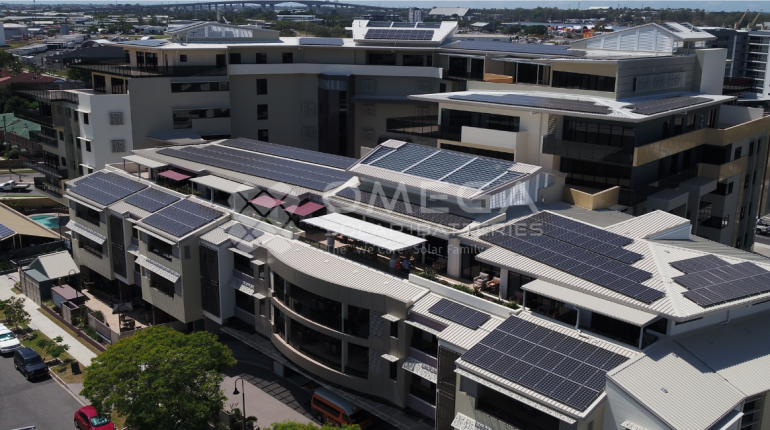 From residential to commercial, we provide expert guidance and advice in the design, installation and servicing stages of solar energy. We ensure our systems support you and your energy costs for a lifetime.